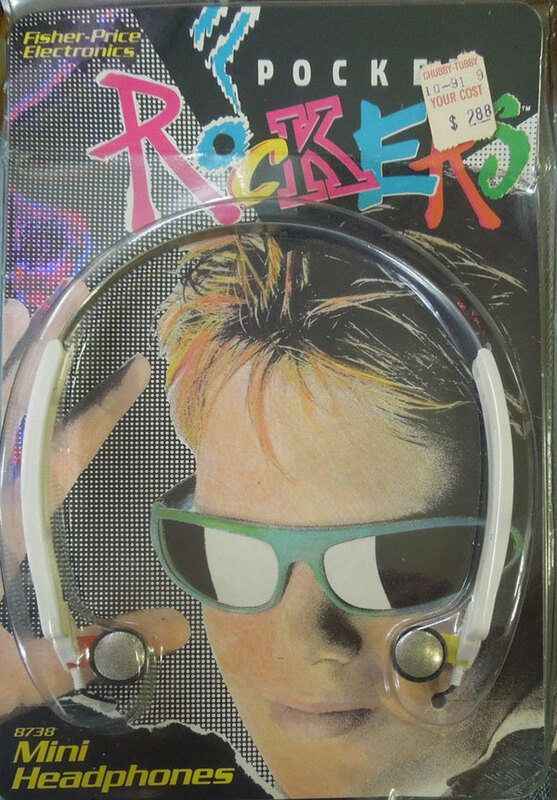 Description: This is an assortment of individually packaged headphones that can be used with Pocket Rockers Players, Deluxe Player, or Deluxe System. This assortment was sold to retail stores for resale. The headphones are lightweight, have thin wire top with white adjustable plastic pieces on the side that hold small speakers that fit in child's ear. Designed for children ages 7 years and older. Each set of headphones was sold in a 6-1/2" long, 10-3/4" high, 2-7/16" deep clamshell blister card.